Yes! 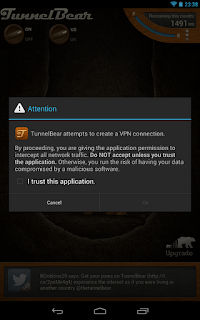 We found it again, the bestv possible VPN service available for your android for Free! 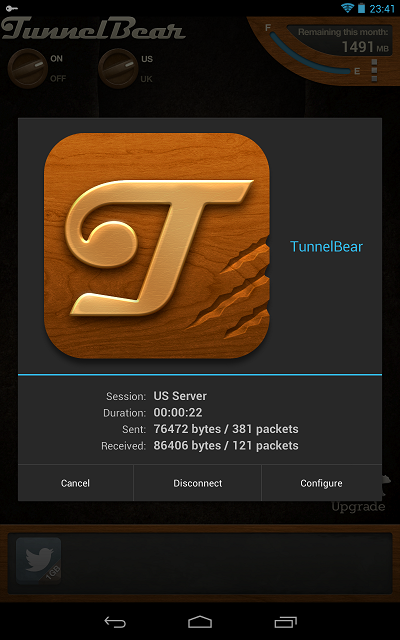 This service allow you to connect to US or UK servers and provide 500 MB data exchange over VPN for free. Plus if you tweet about this service you will be entitled to receive another 1 GB data free for a month. And this is not for just a month, you can tweet every month to receive this data. So lets share with you our latest discovery. It provides you ability to access the full Google Play Store including Music, Magazines, Books, Apps etc. 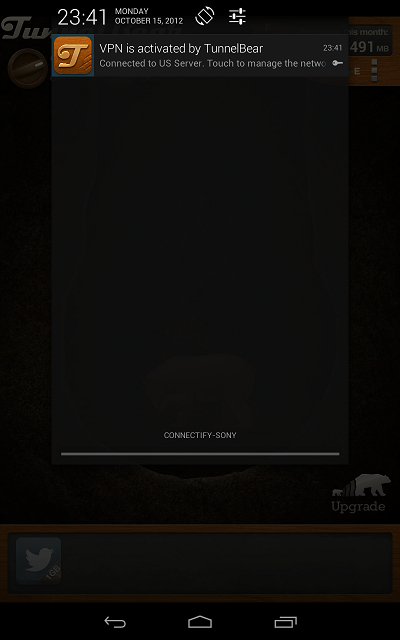 It allows you to access and install apps which are not supported in your region. Access Amazon App-store and download free app of the day! Access websites that are not available on your country such as Vevo, BBC iPlayer, Hulu, Pandora etc. Get the TunnelBear app from the Google Play Store and open it up after installation. You will then be needed to create a free acount which takes under 2 minutes to setup. After that you will receive a verification link in your email, just hit on the link to confirm your email address and verify the account. 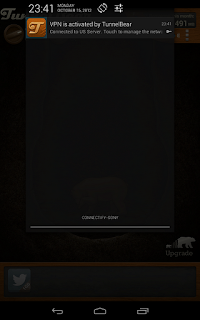 Once you are done with the account setup, you will see two Knobs on the main app screen. One knob is for switching VPN connection ON and OFF and other one is for switching between US and UK servers. To begin using the VPN, just twitst the first knob to the ON position. 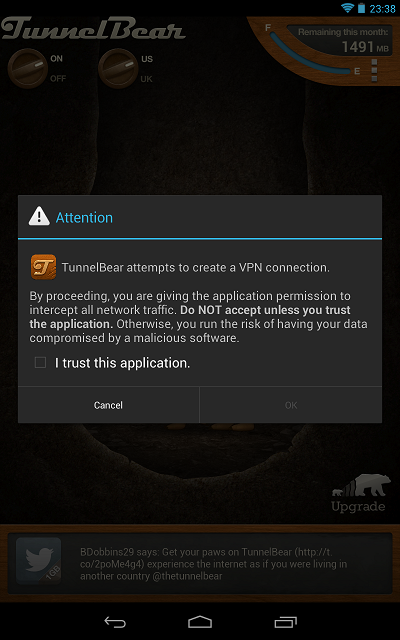 You will then be presented with a dialog box that TunnelBear is trying to setup a VPN connection, just press allow to connect to the VPN. 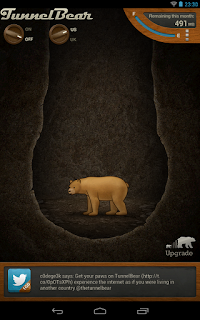 Once it gets connected you will see a 'Key' icon in your notifications indicating that TunnelBear is connected. Now open your browser and go to www.whatismycountry.com which will show you United States if you choose the US settings earlier. Now open Google Play store and now you'll be able to see the full list of options including Music, Movies, Magzines and Books. If you are having problems in getting full Google Play store follow the step 2 of our previous post Google Play Apps, Books, Movies and TV outside US in 3 steps.